It amazes me how so many guys get this 1 simple thing wrong, but try so hard at it. They attempt to build a bigger, stronger chest, using some method they heard from a friend or read in a magazine, and they end up doing bench press, dumbbell press and chest fly’s... only to find their chest still the same size and strength. Well, truth is, a big problem lies in the WAY (see: form and format) in which they’ve been going about doing these exercises. After you finish this short read, you’ll know exactly what to do next time you’re in the gym to gain the kind of muscle and size in your chest that you’ve always wanted. Not all reps and sets are treated equally! 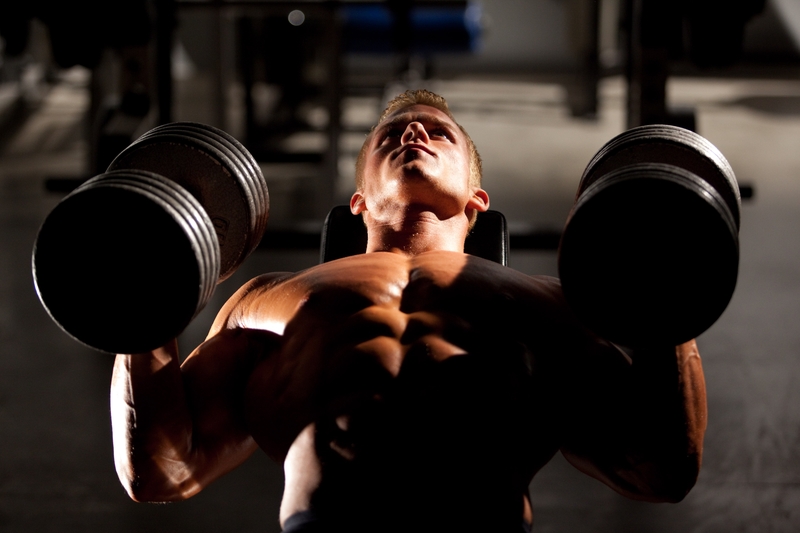 Your reps and set range is the key to lifting weights in a specific way to help you achieve your goal. The old school 3 sets of 10 may be good for strength and endurance, but there’s a better way to get the kind of specific results you want. In order to build a bigger, stronger chest, you must first challenge your nervous system and break down the muscle fibers so that they can rebuild and grow to meet the demands that you put on your body. For instance, what many strongman competitors will do is lift a heavy load that they can only lift about 3-5 reps, for a total of 5-6 sets. For example, if your MAX dumbbell bench press is 200 lbs (100 lbs each arm), then you’ll need to go bring the weight down to about 70-80% of your max (70-80 lbs each arm) and lift only 3-5 reps for a total of 5-6 sets. Wait 1-2 minutes in between each set before performing the next or do a super set with a different exercise, to fill in the gap. This rep range can be applied to almost any exercise, including, deadlifts, triceps extensions, back squats, etc. ... for building size and strength in any other area of your body you want.